Happy 4th of July Weekend to all!! QST wishes you all a fun & safe holiday! We came across the following article from Sourcing Journal last Friday. 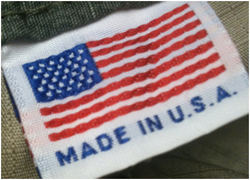 Small and medium sized businesses in the garment industry actually benefit from choosing to manufacture in America from both a cost and operations perspective. QST Industries, Inc. prides itself on being globally positioned to accommodate all of customers, including our friends in the USA!